Discussion in 'Announcements' started by Marindor, Feb 7, 2018. Remember the heartbreaking story of Burukbrak and Gaelagil, a brute Orc Warrior and a shy Woodelve Princess falling in love with each other last year? 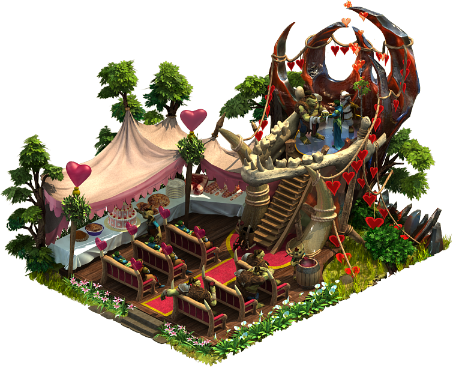 This unconventional love story finds its succession in this year's Questline Event. Tandulien will tell us how both of them eventually would get married. The attentive listener might expect that such a huge undertaking does not come without impediments - as their families would experience a clash of different cultures eventually. We wish you lots of love and are looking forward to hearing your feedback in our Feedback Thread! Isil Rilma, Radagast The Brown, Lollipop and 2 others like this.